Much excitement at TWHQ as four young people from the Tomorrow’s Warriors Young Artist Development Programme just landed in…New Jersey! All four have been awarded scholarships to participate in the Jazz House Kids Summer Workshop at Montclair State University in Montclair, New Jersey from 1-12 August. The workshop culminates with student performances at the town’s largest single-day cultural event, the Montclair Jazz Festival on Saturday, 13 August, produced by Jazz House Kids, which attracts 8,000+ people across the region and reaches 11 countries through global live stream. The Jazz House Kids Summer Workshop students will perform on the same stage as headliners Dee Dee Bridgewater, Christian McBride, George Coleman and others. The workshop scholarships mark the launch of an exciting partnership between two world-leading music education and performance organisations: Tomorrow’s Warriors and Jazz House Kids, who share a mission to transform lives through jazz, and to reflect the richness and vibrancy of their community. Like Tomorrow’s Warriors – founded by multi-award winning Artistic Director and bassist Gary Crosby OBE and partner Janine Irons MBE – Jazz House Kids is led by husband and wife team, founder and president of Jazz House Kids and jazz vocalist Melissa Walker and 5-time GRAMMY Award-winning bassist Christian McBride. Both organisations are built on a respect for creativity, diversity and opportunity for all. 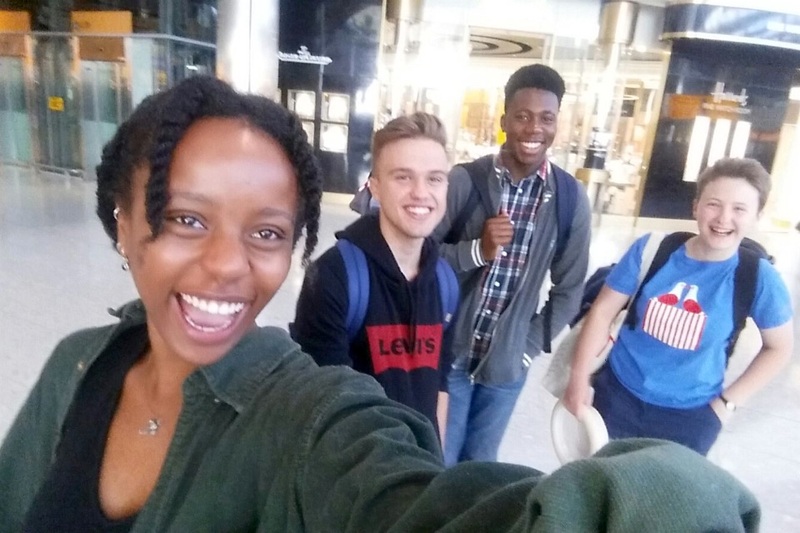 Tomorrow’s Warriors students Joe Bristow, Daisy Corder and Ife Ogunjobi will be accompanied by Tomorrow’s Warriors music leader Cherise Coryna. They will join more than 150 students for two weeks of workshops, ensemble performances and daily jam sessions. Students of all levels receive mentoring and top-notch instruction from professional musicians, and get to perform at world class venues including the world-renowned Dizzy’s Club Coca-Cola. Watch this space for further news on this exciting international partnership. It is, Kate! It absolutely is! We’re so excited about working with them, and the opportunities it will bring for both our musical communities on both sides of the pond! JHK are a great ‘fit’ for TW because they have such a similar mission and culture to ours. We really are delighted to have discovered each other.